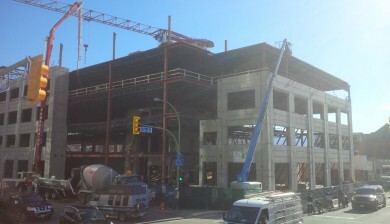 Fabricating and installing quality structural steel products in Kelowna, BC since 1981. We are CISC certified through rigorous Quasar audits based on an ISO 9001 program. Sparkling Hill Resort required a great deal of collaboration and innovation to complete the magnificent Swarovski Crystal centre piece. Our Safety Program helps us to maintain an excellent safety record. 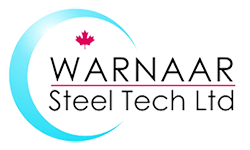 Warnaar Steel-Tech provides structural steel fabrication solutions for a variety of applications from institutions to personal residences; sports arenas to mining equipment. We have expert structural steel fabricators, erectors and detailers to match your structural steel fabrication requirements, whether they are Industrial, Commercial, Residential, or specialty products. 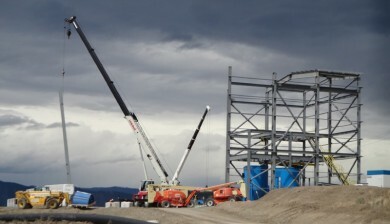 Our structural steel fabrication facility, located in Kelowna BC, Canada is comprised of an experienced and dedicated staff of steel fabricators and welders with an unwavering dedication to quality. Expertise and the integration of the latest material handling software and modern steel fabrication construction equipment combine to provide a production cycle that is of the utmost in consistency, efficiency, and precision. 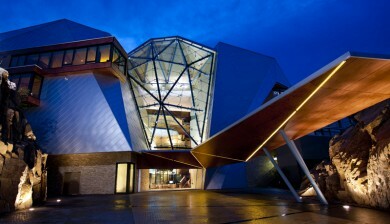 Warnaar Steel-Tech boasts a fully qualified installation crew of steel erectors. Our iron workers can handle even the most technically demanding jobs with experience, efficiency and safety, allowing for a seamless transition between delivery and install. 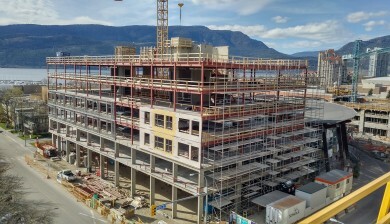 Our structural steel installation crews are ready to install anywhere in BC and Alberta; see examples of our work in Kelowna, West Kelowna, Lake Country, Penticton, Vernon, Kamloops, Prince George, Vancouver, Vancouver Island and the Lower Mainland. Our team consists of a fully staffed structural steel detailing department which utilizes Tekla Structures 3D modelling software that has complete structural steel design and detailing capabilities. For any overflow work that may be required, Warnaar Steel has a close working relationship with engineering consultants and outside structural steel detailing firms. "Old World Quality meets New World Innovation." © 2017 Warnaar Steel-Tech Ltd. – All rights reserved.